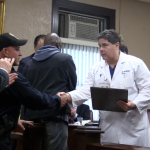 Dozens of West New York police officers stormed the board of commissioners meeting last night, with Policemen’s Benevolent Association President Tommy Mannion demanding answers for why it took the town 10 months to pay a cops lifesaving $9,000 medical bill. 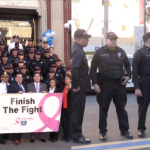 “I just want to commend this body, along with the leadership of the PBA, for coming together in resolve of this and making sure that we come to a solution that is both reasonable and responsible for both the individual involved here, who has given many, many years of service, to this town and this community,” said Cosmo Cirillo, the commissioner of public affairs. 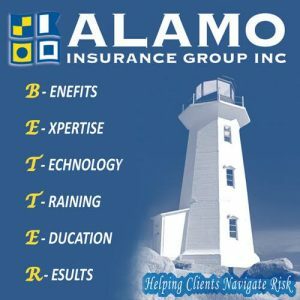 “I am extremely happy, that after the undue stress on your family and yourselves, and the person who was being harassed by … insurers: it’s not easy owing money to a doctor or a service out there: it’s not easy. I want to say it’s very responsible on the commissioners part for making this happen,” added Mayor Felix Roque. 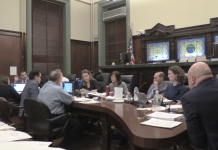 The measure passed unanimously, 5-0, without any further explanation of what exactly the resolution meant. 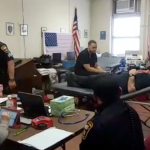 However, several officers confirmed to HCV that Officer John Alvarez had a sever heart attack in April 2017, an incident that required a Medevac unit. Ultimately, this left Alvarez, who retired in June of this year, with a $9,000 medical bill that the town refused to pay. 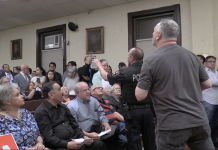 West New York Policemen’s Benevolent Association President Tommy Mannion unloaded on just about everyone sitting upon the dais in a speech that lasted nearly 20 minutes, but he was quite clear in showing he was particularly angry with Town Administrator Jamie Cryan. “Jamie, we’ve been friends since you’ve got here. The way you handled this: me and you are close to not being friends anymore. 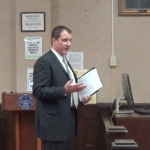 Seven lies in 10 months: I have every single one of them listed and documented,” Mannion exclaimed. The head of the WNY PBA also claimed that the town saved $700,000 by not buying two new police cars annually over the past few years and he wasn’t shy in expressing his frustration about it. 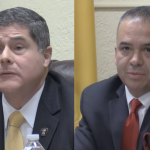 Revenue and Finance Commissioner Gabriel Rodriguez pointed out that he offered to try and fundraise for Alvarez, but that idea was immediately shot down. 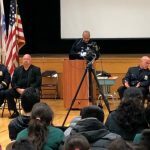 “I came to you as soon as I found out about this and I said ‘there’s no question that we need to help this gentleman would you be interested in doing a fundraiser?’ and you said …,” Rodriguez began before Mannion chimed in. “Absolutely not. I don’t do fundraisers for bills that should be paid by the town. I fundraise more than you guys could ever do,” Mannion said. “I came to you with an attempt at a solution. 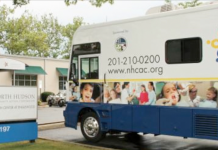 If that was not the solution that you wanted, that’s something different,” Rodriguez added. In a text message, Cryan said that he looks forward to continuing to work with Mannion and the PBA, but he still feels his remarks last night went a little too far. 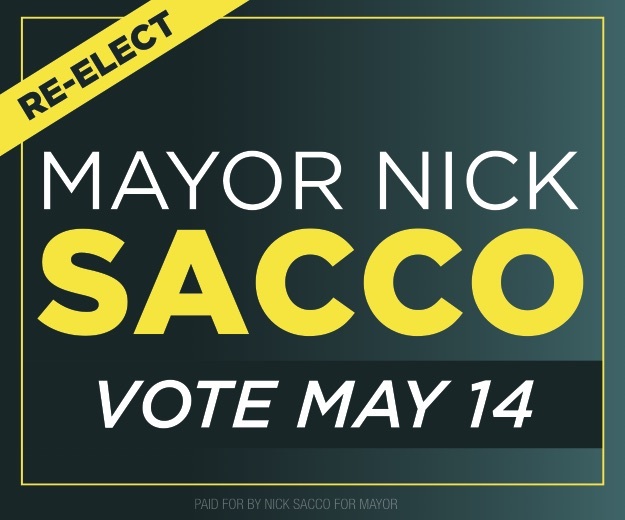 “As Town Administrator, my responsibility is to implement policies articulated by the Board of Commissioners and effectively manage our local government to serve the interests of our residents, taxpayers, and employees,” he began. 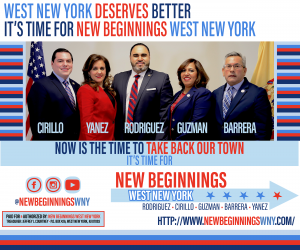 “I take that responsibility very seriously, and in this case I am proud that through the leadership of the Mayor and Commissioners we were able to reach a solution that is fair to Officer Alvarez and to West New York taxpayers. I value the relationship I have built with Mr. Mannion and the West New York PBA, and that relationship is based on a foundation of serving others and a mutual desire to keep residents and officers safe. 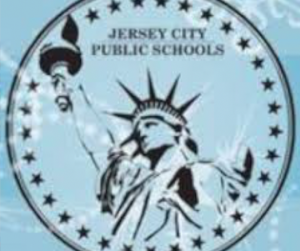 Jamie Cryan is controlled by Joe Muniz a Scarinci hack. He’s there not independently serving all the Commisioner’s. He’s praying to keep his job after this mutiny by the three Commisioner’s. His professionalism and his Character definitely have to be questioned .